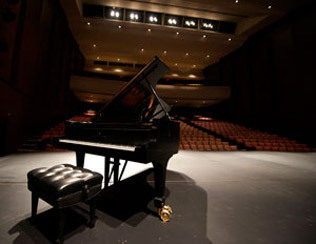 The Orchestral Training Program has been a central feature of musical experience at UofT for decades, and was responsible for the establishment of parallel programs across Canada. Studio teaching from leading performers in the Toronto Symphony Orchestra, the Canadian Opera Company Orchestra, and other professional organizations represent very important partnerships. Our ensembles include the University of Toronto Symphony Orchestra (UTSO), the University of Toronto Chamber Orchestra (UTCO), the University of Toronto Wind Ensemble (UTWE), and the University of Toronto Wind Symphony (UTWS). In addition, groups in Early Music such as the Collegium Musicum and Modern Music such as the gamUT Contemporary Ensemble round out the picture. In addition to the large ensembles, there is a very active chamber music program for solo instruments with piano, individual instrumental choirs, and mixed ensembles, including piano trio, string quartet, brass quintets, woodwind quintets and double-wind octets. Studio instruction in Woodwinds includes: Flute, Oboe, Clarinet, Bassoon, Classical Saxophone, and Accordion (if construed as a reed wind instrument). In Brass: Horn, Trumpet, Trombone, Tuba and Euphonium. In Percussion: a renowned program covering all core studio and techniques instruction and providing opportunities in orchestral, contemporary, world (including Latin and African), and percussion ensembles. In Strings: Violin, Viola, Cello, Double Bass; Guitar and Harp. One of the distinctive features of UofT is truly world-class instruction in four ‘other’ instruments not always well represented in music programs: classical saxophone, classical guitar, accordion, and harp.